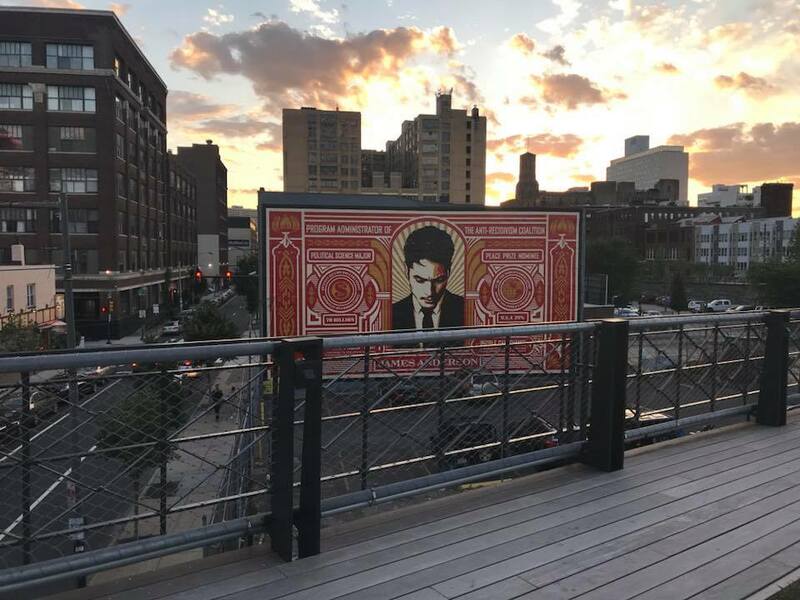 After years of planning and handwringing over fundraising, the first phase of Philadelphia’s own “High Line,” the transformation of the Reading Viaduct rail line, was opened to the public last Thursday. 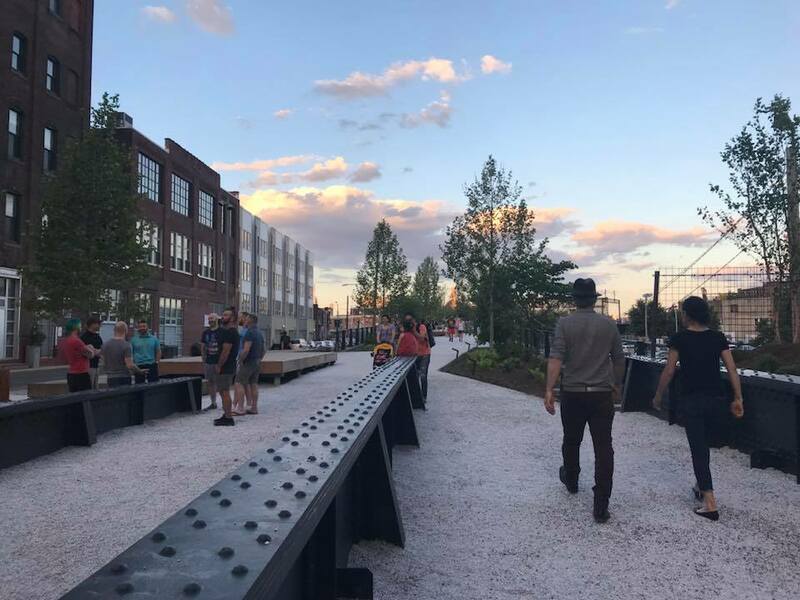 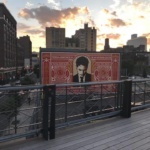 Although the Rail Park’s first spur is only a quarter mile long, the rail line will be twice as long and wide as New York’s High Line when fully built out. 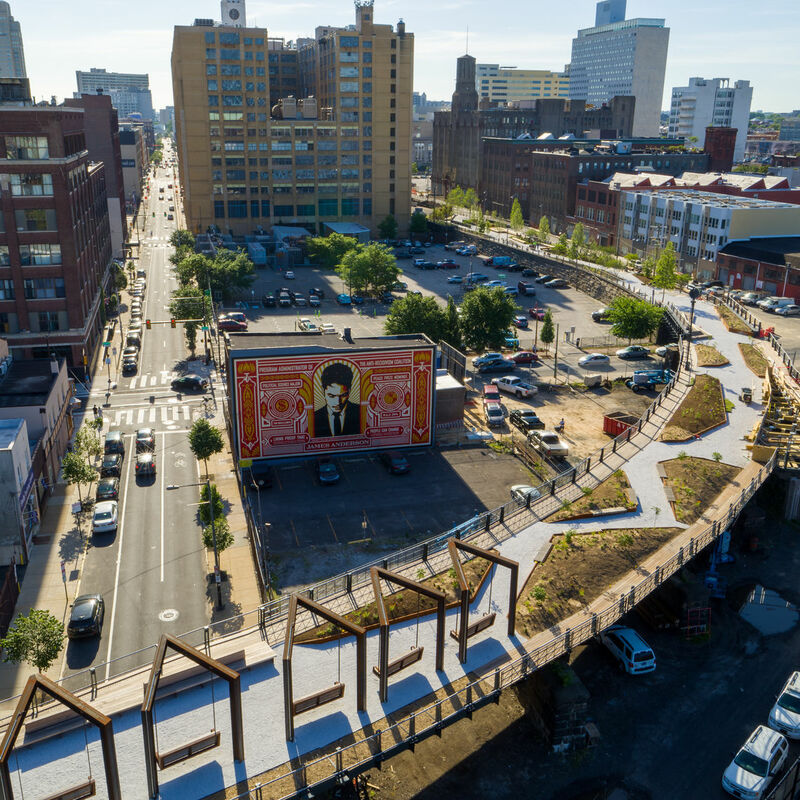 The first section of the linear park, located on the northern edge of Center City and designed by landscape architects Studio Bryan Hanes, reflects the neighborhood’s industrial past. 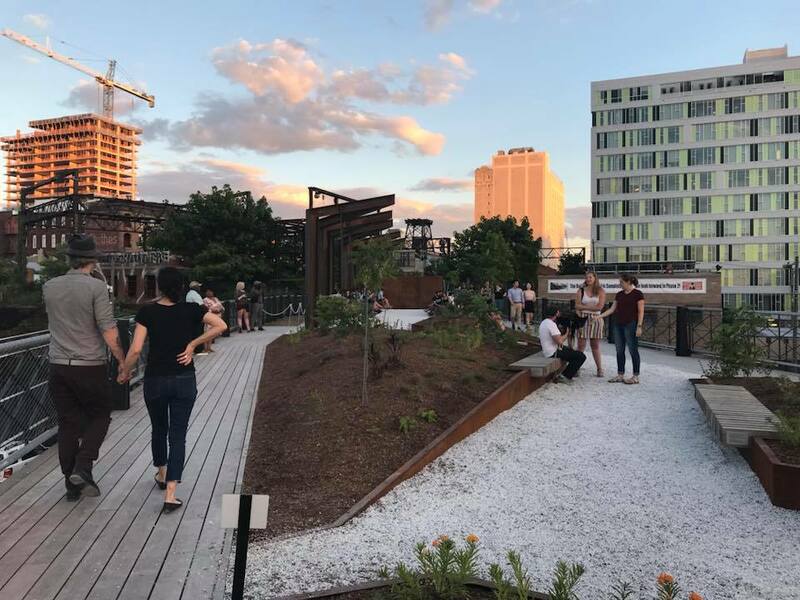 Native plants and trees were planted on top of the viaduct’s steel arches, and remnants of the embedded rail track are woven throughout the zigzagging walkway. 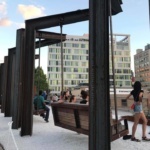 Riveted I-beams have been turned into seating, and structural steel beams are used to support the hanging benches. 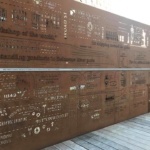 A timeline of the neighborhood and a historical list of the city’s industrial manufacturers have been cut into a weathered Cor-ten steel “history wall” that visitors can walk beside. 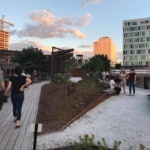 Unlike New York’s High Line, the Rail Park is wide enough to include both dedicated bike trails and footpaths for pedestrians, creating new links to traditionally underserved neighborhoods when the three-mile-long park is complete. 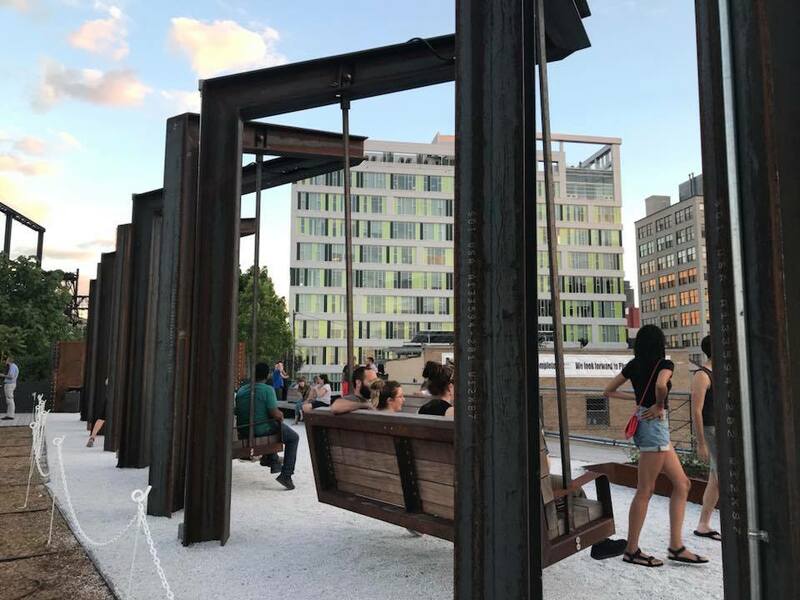 Construction on the $10.8 million elevated park was beset with delays. 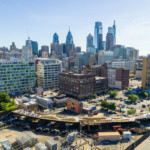 In planning since 2010, the project finally broke ground in October of 2016 after SEPTA, the site’s former owner, agreed to lease the rail spur to the nonprofit Center City District (CCD) during construction. 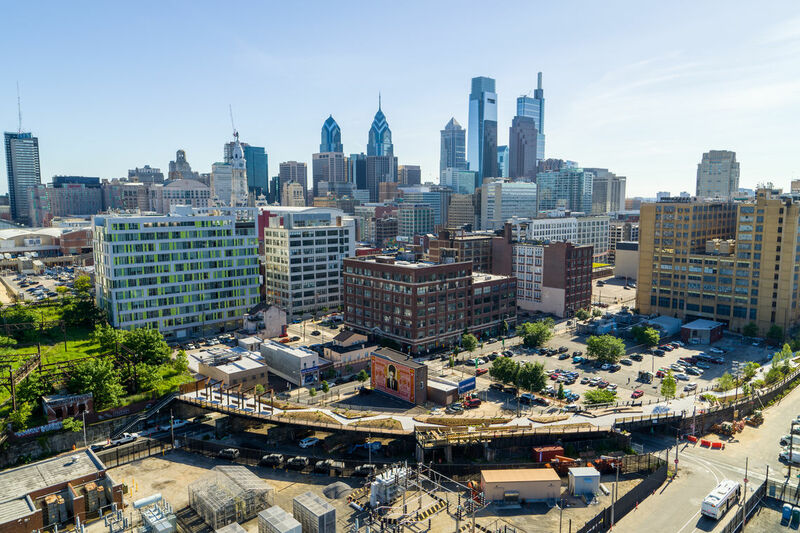 Now that the section is finally open, ownership has been handed over to the City of Philadelphia, with maintenance and management split between the CCD, the nonprofit Friends of the Rail Park, and the city’s Department of Parks & Recreation. 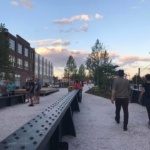 Funding for the Rail Park’s 25,000-square-foot first phase was raised in combination by the Friends of the Rail Park and through a $3.5 million Redevelopment Assistance Capital Program grant from the state government. 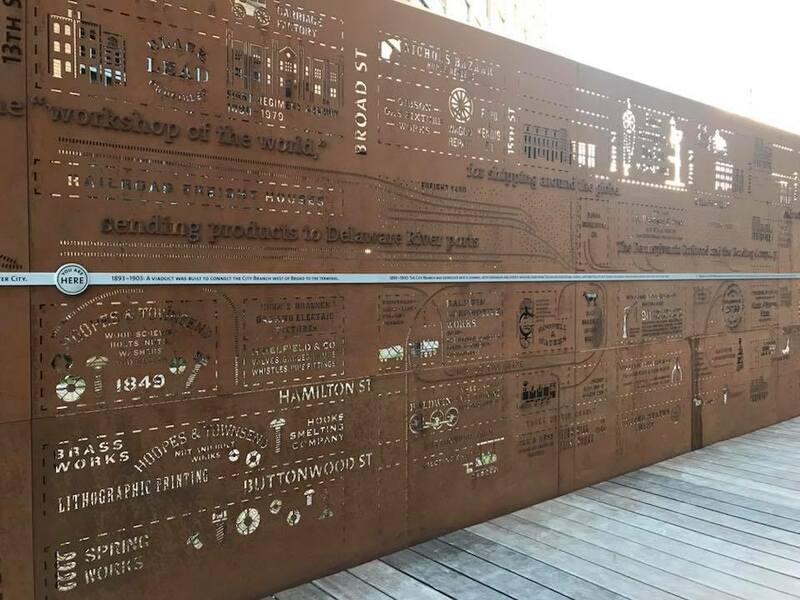 According to the CCD, this section of the Rail Park will serve as a design proof-of-concept and fundraising tool for the rest of the viaduct’s development. 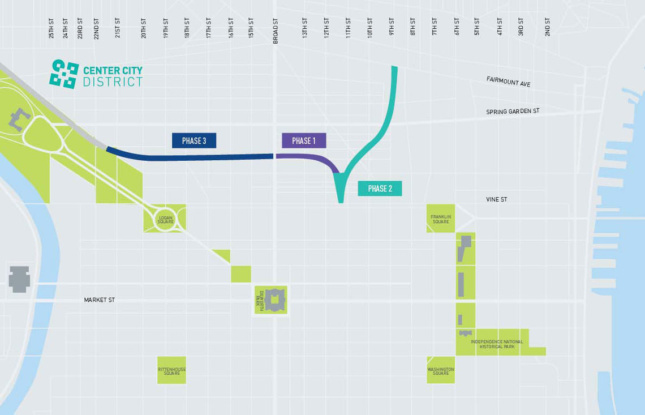 No timeline or estimated construction dates have been given for the second and third phases.